Monsoon season is upon us in the southwest – there is nothing like the smell of rain in the desert. Wear this bead as a reminder of the beauty of the storms as they sweep across the big open sky — a talisman for the world’s most precious resource — water! 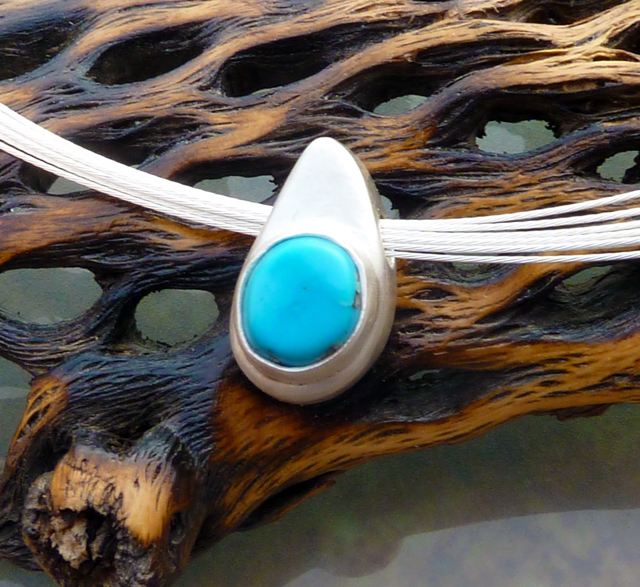 Hand-crafted one-of-a-kind turquoise and brushed silver bead. Hollow form. Signed on the back. Wear alone as a pendant, or strung with other beads.